On 19 April,Following the verdict of the Supreme Court on Babri Masjid demolition, the Bharatiya Janata Party (BJP) said it will analyze the decision in details. "The Supreme Court has given the verdict. The party would study the verdict in detail," BJP spokesperson Sambit Patra said. Meanwhile, Shiv Sena leader Sanjay Raut said Ram Mandir is the responsibility of the Centre demanding the withdrawal of chargesheets filed. "We have always bowed our heads in front of every judicial decision. The implementation of construction of Ram Mandir was taken up under the leadership of L.K. Advani. Every BJP leader was up for it, Murli Manohar Joshi was there and Shiv Sena as well. If our agenda is to build the Ram Mandir, then what conspiracy are we talking about? Ram Mandir is also the responsibility of the centre," he told ANI. He further said only after the demolition of Babri Masjid, the temple could have been built. "It should be government's agenda as well. 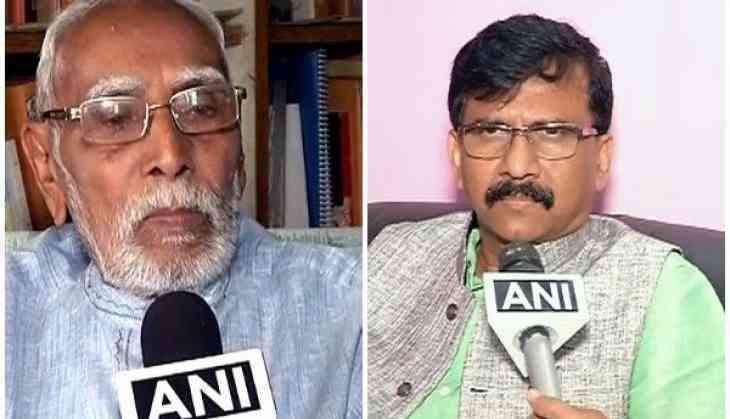 I am shocked and hurt that even today Babri issue is seen as a conspiracy," Raut added. Rastriya Swayamsevak Sangh (RSS) ideologue M.G. Vaidya said the apex court's decision has to be accepted by everyone, calling the issue crucial. "Nobody knows how much time it will take to settle down. Whoever has imposed allegations they need to prove it," he added. The apex court has directed the sessions judge in Lucknow to conduct the trial in the Babri demolition case on a daily basis and that the judge will not be transferred. It also ruled out a fresh trial in the case. The top court has also ordered the Central Bureau of Investigation (CBI) to ensure that witnesses are produced in court everyday so that there is no delay in the Babri demolition case trial. The trial will have to be completed in two years. However, the apex court has clarified that Kalyan Singh, being Governor of Rajasthan, will not be tried due to constitutional immunity unless he ceases to be in that post. In effect, his trial will begin after his term as governor ends. Singh was the chief minister of Uttar Pradesh when the demolition took place. Others who will face criminal conspiracy charges are Vinay Katiyar, Sadhvi Ritambara, Satish Pradhan, Champat Rai Bansal. The late Giriraj Kishore is also among the names in the original chargesheet. There were two sets of cases relating to the demolition of the disputed structure on December 6, 1992. The first involved unnamed 'karsevaks' or volunteers, the trial of which is taking place in a Lucknow court, while the second set of cases relate to the VVIPs in a Rae Bareli court. With today's order, both these cases are merged and will be heard in Lucknow. The order comes after the CBI had petitioned the apex court saying 14 people, including BJP leaders, who had been acquitted of the charges under criminal conspiracy, should be tried in the Lucknow Court.